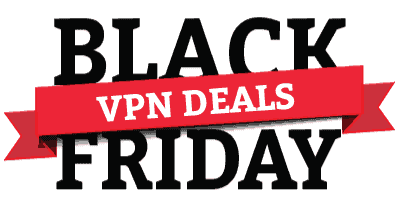 Black Friday VPN Deals 2018 - Get Huge Discount On VPN! Black Friday is around the corner and people are getting ready to splurge because of all the huge discounts. Take this opportunity to save big on your Virtual Private Network this year. Some of the sales have already started. Check out the deals below! To VPN brands: If you are offering any Black Friday / Cyber Monday promotions, please contact us here to get listed here. "PureVPN is available on multi-platform as well as has its own Chrome Plugin for ultimate convenience." [88% off] for 5 yr plan. [73% off] for 12 mo subs. [50% off] with 12 mo subs. [25% off] with 12 mo subs. [83% off] with 24 mo subs. [35% off] for all packages. [80% off] with 36 mo subs. [92% off] with 5 yr plan. Billed every 60 mo. [75% off] with 2 yr plan. [+10% off] if payment is made with bitcoin. [83% off] with 2 yr plan. [50% off] with 2 year plan. [54% off] with annual plan. [50% off] with 24 mo subs. [85% off] for first year. [45% off] with Road Warrior plan. [55% off] with 1 month re-occurring. [60% off] with Ninja Power plan. [72% off] billed every 2 years. [87% off] with 5 yr plan.